The blood type diet claims you should eat certain foods based on which blood type you have (A, AB, B, or O) to help you look and feel your best. The diet's founder Peter D'Adamo says foods react chemically in your body according to your blood type, and eating based on blood type will help you lose weight, lower disease risks, digest foods better, and experience a boost in energy. While detailed blood type diet food lists are available, you can determine your basics by knowing your blood type. The blood type A diet focuses on (preferably organic) fruits, veggies, whole grain, and legumes. D'Adamo suggests people with type A blood have sensitive immune systems. Don't plan on eating any red meat when following the type A diet. D'Angelo says people with AB blood types may have lower amounts of stomach acid and should focus on dairy foods, green veggies, seafood, and tofu but steer clear of smoked meats, cured meats, alcohol, and caffeine. If you have type B blood and are following the blood type diet, you'll focus on green veggies, low-fat dairy foods, eggs and some meats, but the "do not eat" list includes buckwheat, wheat, corn, peanuts, sesame seeds, tomatoes, lentils, and chicken. Type O blood types should follow high-protein diets containing lots of fish, poultry, meat, and veggies (but go easy on the beans, grains and dairy), suggests D'Adamo. Because blood type diets were once (and may still be for some people) a trend, researchers have studied the effects to see if claims that the diets improve health can be validated. One 2013 review says there isn't evidence that shows eating foods based on blood type offers benefits. Another study published in 2014 in the journal Plos One found that some of the blood type diets (A, AB, and O) appear to reduce heart disease risk factors, but these health perks are possible regardless of blood type. Researchers who conducted the study found blood type A diets are associated with lower waist circumferences, body mass indexes, cholesterol, blood pressure, insulin, and triglycerides; blood type AB diets are associated with lower blood pressure, cholesterol, triglycerides, and insulin levels; blood type O diets are associated with lower triglyceride levels; and no significant changes happened in study subjects who followed blood type B diets. As with many types of fad diets, pros and cons exist when following the blood type diet. 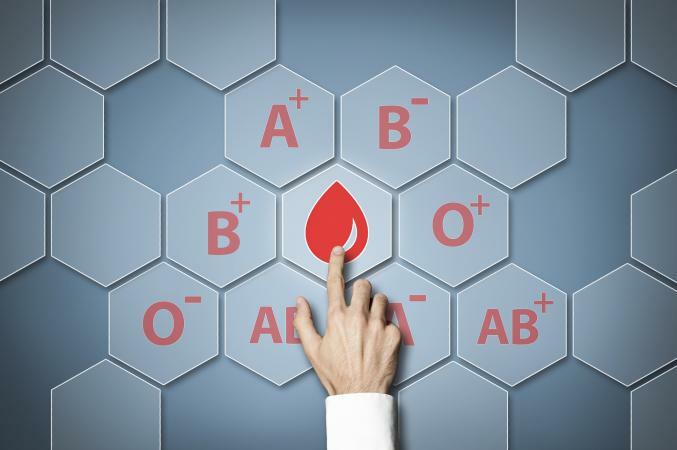 Based on the available research, you may reap some health benefits (reduced chronic disease risk factors) if you follow the A, AB, or O blood type meal plans, but such perks are possible regardless of which blood type you have. This is because following blood type menus may cause you to eat healthier (and fewer calories) than you normally would. Cons include spending money purchasing blood type diet meal plans, and the false hope that eating based on blood type is legit. Instead of following blood type menus, simply lower your overall calorie intake by boosting veggies and lean protein foods if you're overweight or obese and eat a well-balanced diet to maintain a healthy weight. Someone who may benefit from following the blood type diet (specifically the blood type A meal plan, which shows the most promise for chronic disease prevention), is someone who doesn't mind giving up red meat and enjoys a structured meal plan for weight loss or healthy weight management. But you don't have to have type A blood to follow the blood type A diet.